I called the second-generation Echo Dot “the Echo most people should buy.” If you already have one, the only reason to upgrade to the new model is for its superior sound. The third-generation Dot is also prettier. It still looks like a hockey puck, but it now has softer edges and it’s wrapped in your choice of charcoal, sandstone, or gray fabric. But if you’re buying a smart speaker for all the things it can do besides playing music, the second-gen Dot is still around (though who knows for how long), and it costs $10 less. 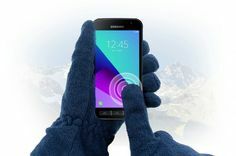 The old model is every bit as capable of controlling your smart home devices, and because Amazon has sold millions of them since its introduction in 2016, you’ll find lots of great accessories that make it even better. My own smart home is filled with various smart speakers—Echos, mostly—but the Sonos Beam is the only one I use for music listening. And that’s only when I’m in the kitchen. So why am I awarding the third-generation Echo Dot four stars and a TechHive Editors’ Choice Award? 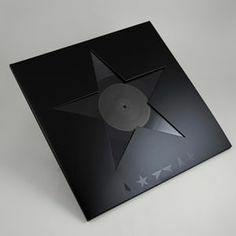 Because it’s just as capable as the original, it’s prettier, and it sounds much, much better if you do want to play music on it. In fact, the Echo Dot is a very good near-field speaker for $50, though I still can’t recommend anything in the Echo lineup for critical listening. The new Echo Dot is very slightly bigger around and taller than the previous model. There’s a 1.6-inch full-range driver inside the new model, compared to the 1.1-inch speaker in the original, and it produces pleasant high and mid-range frequencies. Bass response is also respectable for such a small speaker. Amazon hasn’t disclosed amplifier specs, but the new Dot gets considerably louder than the original, and without distorting. 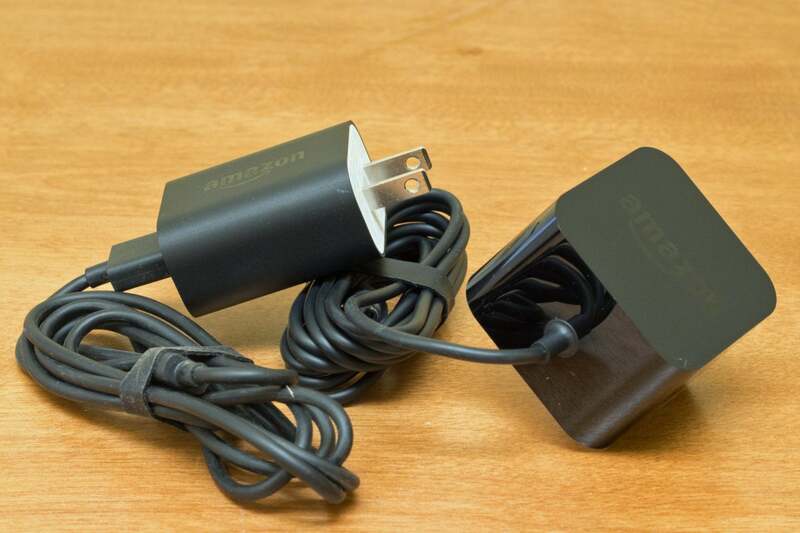 It certainly draws more power: Where the second-gen model was powered by a 9-watt wall wart and a micro-USB cable, the third-gen model relies on a 15-watt power supply with a barrel connector at the end of its cable. But as I said, this is strictly a near-field speaker. Move more than a few feet away from it and you might as well be listening to a speakerphone. You don’t necessarily need to rely on the Dot’s built-in speaker, of course. You can pair it with your favorite Bluetooth speaker, and Amazon equipped it with a 3.5mm auxiliary output so you can plug it into any self-powered speaker or even an amplifier or A/V receiver (you’ll need to provide your own cable). The new installation routine now asks if you intend to use external speakers, and it walks you through that process if you do (you can also do it later). Amazon wisely carried over the 3.5mm aux port, making it easy to plug higher-quality speakers into the Echo Dot. Setting up the new Dot is as easy as ever, especially if you’ve installed one or more Echos already. The Alexa app remembers the Wi-Fi networks and passwords you’ve used in the past, so you can just pick them from a list—you don’t need to re-enter those credentials. As with the rest of the Echo line, it has a dual-band Wi-Fi adapter onboard, so it can be on either the 2.4- or 5GHz frequency bands. The Echo Dot can be integrated into a multi-room speaker system along with other Alexa-powered speakers, including the display-equipped Echo Show models and the higher-fidelity Sonos One and Sonos Beam soundbar. Google Home users can group their speakers with other Chromecast Audio devices, but they can’t currently include display-equipped Google Home devices (e.g., the Google Home Hub, Lenovo Smart Display, or the JBL Link View) in a multi-room configuration. Google is working to eliminate that limitation, but the new firmware won’t be available until at least the new year. 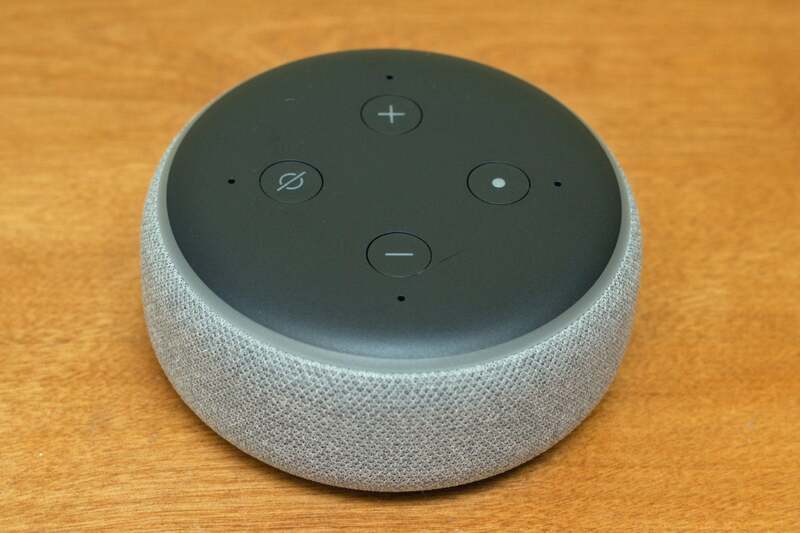 The new Echo Dot is slightly larger than the second-gen model, so it won’t fit in any of the battery or speaker docks or other accessories available for the previous version. It also isn’t as attractive as the Google Home Mini, which is entirely covered in fabric and has touch-sensitive volume controls. But the new Dot is easier to use—especially when you want to mute its four-microphone array—and it should be easier to keep clean than Google’s speaker. You’ll touch the Echo’s fabric-covered surface only when you move it. You’ll touch the fabric on the Google Mini every time you adjust its volume, and you’ll need to pick it up to mute its mic. 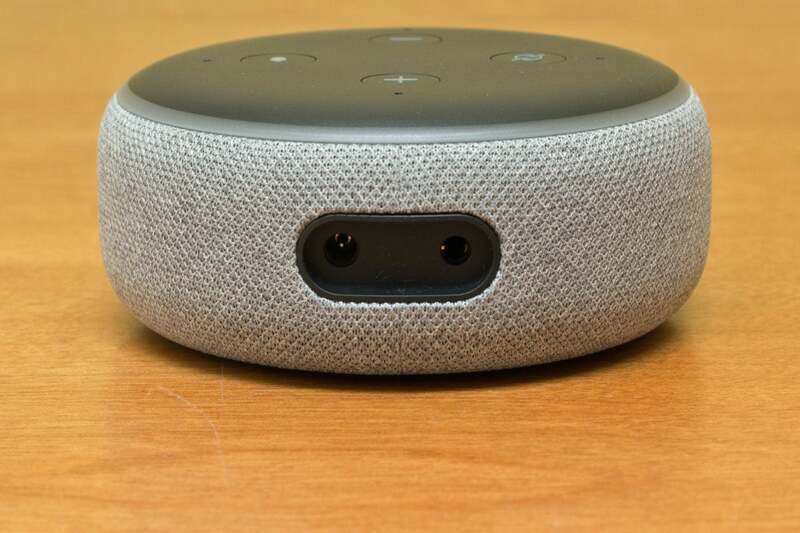 You’ll find short-travel mechanical buttons on top of the Echo Dot at the four points of the compass: Volume up and down at north and south, respectively, and an “action” button and a mic mute at east and west, respectively. The action button summons Alexa when you don’t want to speak the wake word. 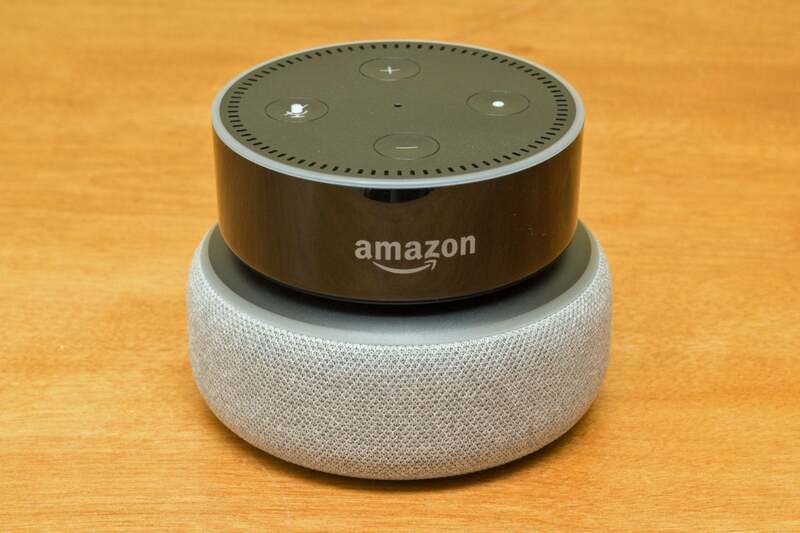 To that point, the new Dot is slightly better than the previous model when it comes to hearing you say “Alexa” amidst a lot of background noise, such as a television, or when the speaker itself is playing music. It’s worth noting that the Echo Dot can’t control most smart home devices directly, unless they operate on your Wi-Fi network. Unlike several of the more expensive Echo models, there is no ZigBee radio onboard (and none of the Echo models have Z-Wave radios onboard). This won’t be a drawback for most smart home enthusiasts, however, because they almost certainly have some other smart home controller that the Echo can talk to. 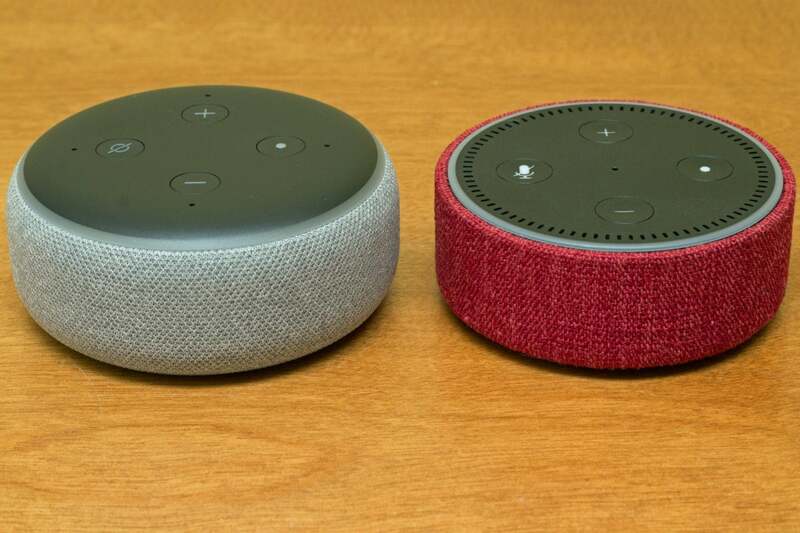 You can dress up a 2nd-gen Echo Dot (right) to look very much like the new model. 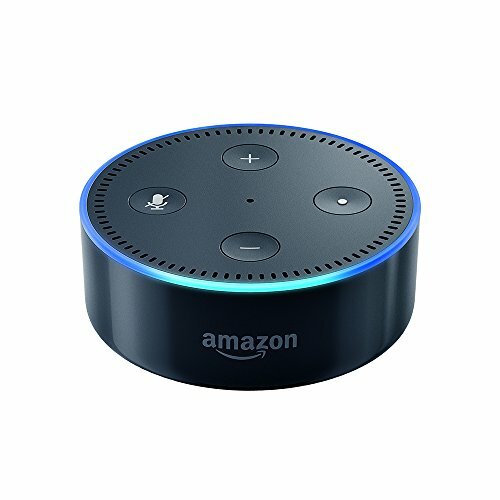 If you’re buying your first smart speaker and you’re mostly interested in controlling your smart home devices and retrieving news, weather forecasts, and other information from the internet, save yourself 10 bucks and buy the second-generation Echo Dot while you can. If you want all that plus higher-quality audio without the need for outboard speakers, the third-generation Dot is an easy recommendation. It sounds better than anything in its class—including the Google Home Mini—and Amazon maintains a very slight lead over Google in terms of compatible third-party products and services.